One big misconception that has floated around all over the world for a very long time is how there exists a feeling of animosity among Muslims against Jew. One of the catalysts to make sure this misconception reaches the ears of the masses is the Western media, which has portrayed this image in the most construed manner. This propagation of misconception is not just a mere coincidence, but a planned tactic in order to mix the lies with the truth. The goal behind doing this is to confuse the masses so much that it becomes almost impossible for them to search for the absolute truth. The Western media has been using this tactic from the very beginning of its existence, for example; the way they hide atrocities committed by the Zionist entity versus the magnification of the Palestinian resistance’s retaliation. Another example is how they give media coverage to the rockets fired by the Lebanese resistance versus how they turn a blind eye on the israel’s provocation. Before the civil rights movement, they would highlight African-Americans’ “civil disobedience” and they used to purposely hide the causes of that retaliation, which was American government’s hostile treatment of the minorities. The list goes on and on and in this heinous list is the issue of “Occupied Palestine” or the so-called “israel”. It is hard to imagine that anyone with slightest of human feelings would accept the existence of israel solely because of the fact that the foundation of this illegitimate state is based on the aggression that settlers committed on Palestinians. They threw people out of their houses to build their own, unfortunately this continues to happen till this day! Before we talk about the atrocities committed by these Zionist settlers, we must dive into the very core of Zionism – an ideology which became the basis of the invasion of the Holy Land by the settlers. There is a necessity of elaborating few questions in an attempt to resolve some of the major misunderstandings and to raise awareness about this tumor, known as Zionism. 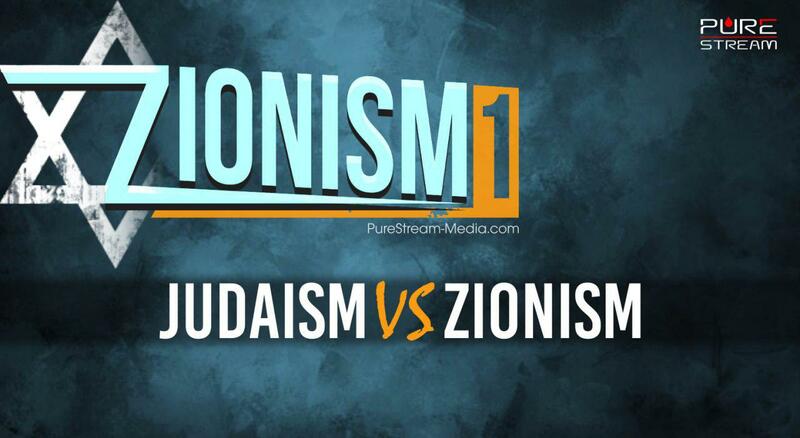 One common misconception that has infiltrated people’s minds through Western media is that Zionism is Judaism. The Western media does not highlight major differences that exist between Zionism and Judaism – both ideologically and theologically. Since Zionists apparently follow the Judaic teachings, this is where the Western media plays its tactic and confuses the masses by presenting the Zionists as the face of Judaism. This is where they also propagate the hatred card of Muslims against Jews; when the fact of the matter is that the Muslims, just like the orthodox, practicing Jews are against the ideology of Zionism and just like the Orthodox Jews, Muslims are against the illegitimate state of israel. Therefore, it is extremely important to differentiate Zionism from Judaism before diving into the debate of Arab-israeli conflict. What Judaism says about Zionism is worth elaborating. The orthodox Jews are against the establishment of the State of israel based on their religious doctrine that they extracted from Torah, Jews’ religious book. The idea of a sovereign state for Jews goes against the teachings of Torah, and the Jewish have been staunch followers of this doctrine for centuries. We will not discuss if the idea of having a separate state for Jews is correct or not, but we want to discuss something which is much more serious. The Jews believe that God has specifically mentioned in Torah that the only way for the salvation of Jews is to stay in exile until the Messiah comes and brings back the glory for them. They believe that it is due to their sins that they are destined to stay in exile and an attempt to establish a state for Jews is going against God’s will and will only delay the process of their salvation. It has been clearly stated that God’s curse will accompany those who choose to settle in Eretz Yisroel, what is now the occupied Palestine [i]. “…therefore I believe that a wondrous generation of Jews will spring into existence. The Maccabeans will rise again” [ii]. Zionism from the time of its creation has mapped out numerous massacres and continue to raise havoc till this day. It is important to figure out their ideology and their evil goals in order to counter their thought process and their strategies.